People love to see themselves in comics. Especially when their own stories are the subject. 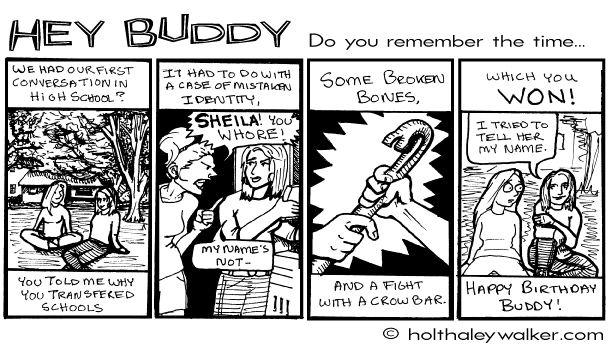 I should know, I have been making personalized comics for years. My pricing is pretty simple: $35 a page. Examples you say? Why yes, I do have some examples! 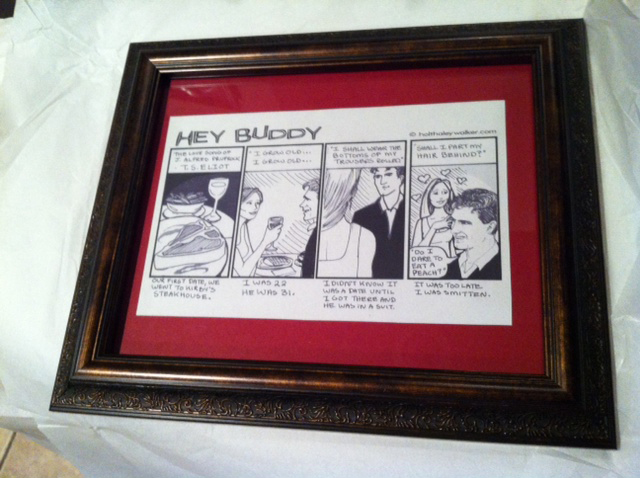 My client used this comic as a birthday gift for her sister. It was posted on Facebook and printed in a book. This comic cost $35 per page. 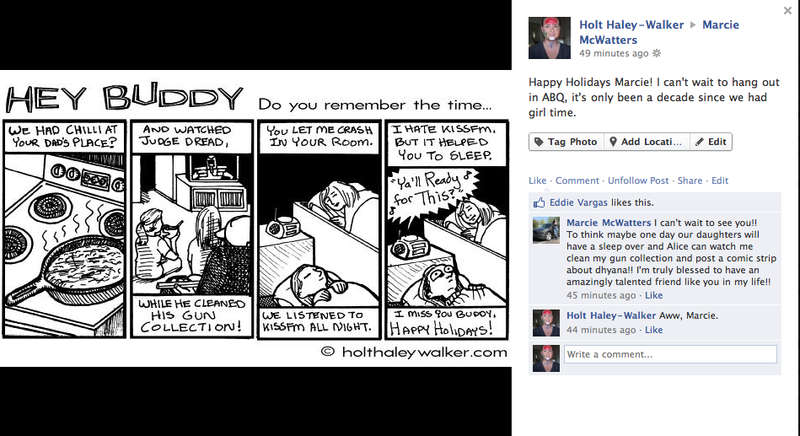 Short comics posted on Facebook/Twitter/etc as birthday gifts. Would you like a comic? Just fill out this form and tell me about what you want. Did I mention that the cost is $35 per page? Click "Buy Now" to pay for your comic. I will send the finished comic to this address and you can post or print your comic at your leisure. Tell me what you would like to include in your comic. I am happy to chat with you, look at photos, and answer questions over email. I can deliver a digital comic to the specifications and dimensions required by your favorite social networking website. Remember that I charge $35 per page. Though I am happy to discuss a reduced rate for larger jobs. Still have questions? Send me a message and I will help you out.